Madison College women’s basketball player Rachel Slaney goes in for a basket against Milwaukee Area Technical College. Rachel Slaney became the new all-time leading scorer for the Madison College women’s basketball team during a 50-point victory over Wilbur Wright College on Feb. 8. Slaney entered the game needing just seven points to claim the school’s scoring record, and ended up scoring 25 in her team’s 74-24 road win. She passed Alicia Haag’s record that had stood for 27 years with the first of two free throws she made with 2:05 left in the first quarter. Slaney now has scored a total of 1,094 points, with two regular season games and playoffs remaining in her final season with the WolfPack. In addition to her 25-point scoring effort, Slaney had 10 rebounds, five assists and five steals. It was her 17th double-double of the season and her fifth straight. Freshman Peyton Trapino had her fourth double-double in six games, scoring 10 points and grabbing 10 rebounds while adding a team-high seven assists. Mariah Ginter, also a freshman, had her second double-digit scoring game of the season with 11 points. The margin of victory was the largest for the WolfPack since a 63-point win over UW-Rock County last season. Sixth-ranked Madison College now stands at 19-5 overall and 8-2 in conference. The WolfPack has two remaining games, both at home. The team hosts College of DuPage on Feb. 15 and conference leader Rock Valley College (11-0 in conference) on Feb. 18. After trailing by as much as 8 points in the first half, Madison College took control in the second half for a double-digit win over in-state rival Milwaukee Area Technical College, 78-66, on Feb. 3. Slaney led Madison College with 26 points and 13 rebounds. Trapino had a strong game as well, with 19 points and a career-high 13 rebounds Macy Graf added 13 points, while Jamie Falk had nine points and six assists. 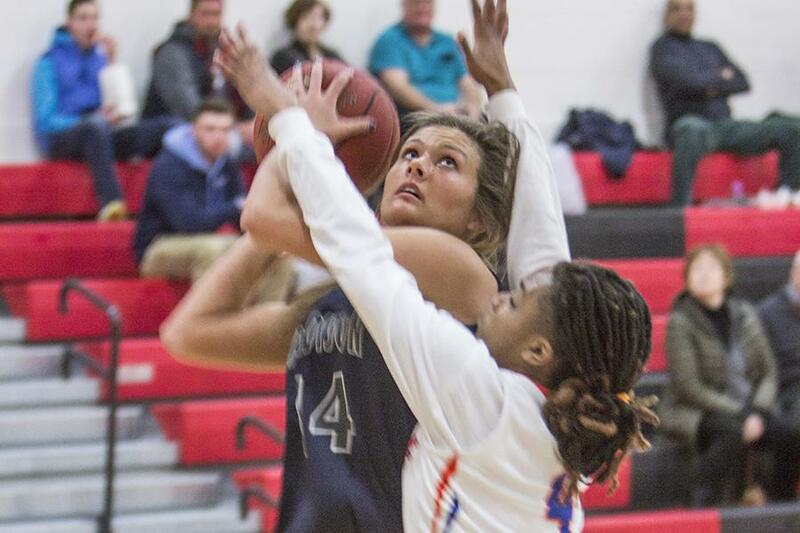 Although Madison College hung within striking distance the entire game, it was never able to take the lead against host Joliet Junior College in a 72-67 loss on Feb. 1. It was the WolfPack’s second loss in three games. Slaney scored 30 points in the game and had a whopping 20 rebounds. Trapino added 14 points, while Megan Corcoran scored 10.